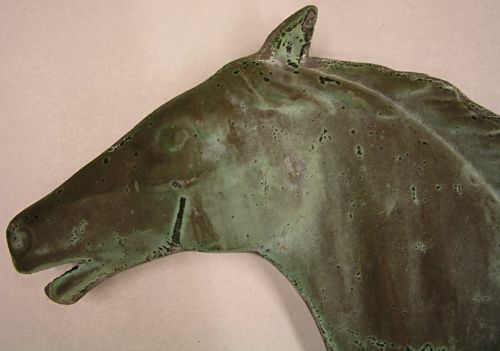 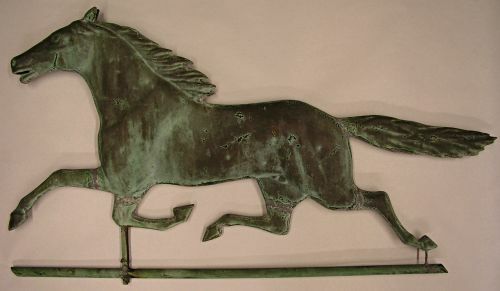 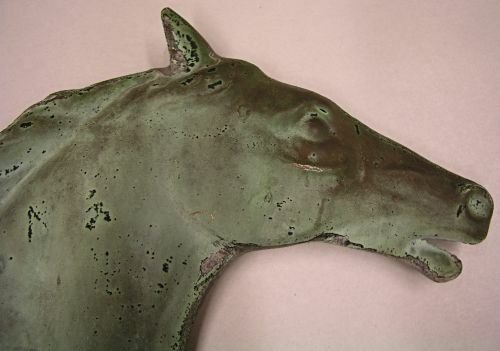 Copper Horse weathervane although unmarked appears to to a Smuggler by Harris & Co.Boston Mass. 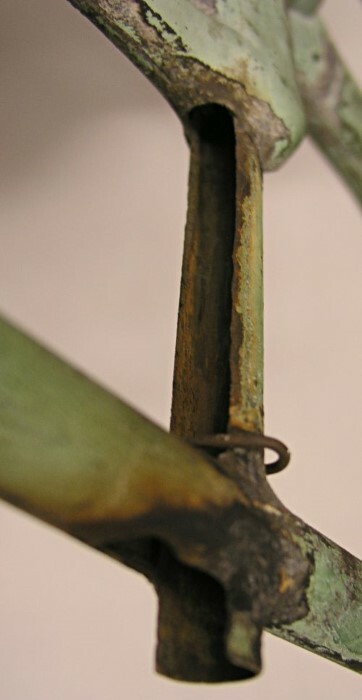 Wonderful as found weathered surface with as expected wear. 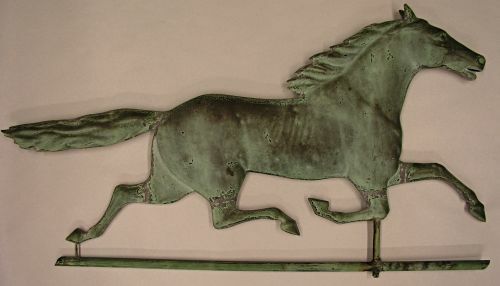 Dimensions: Measures 32 3/4" long x 17 1/2" tall.